Apologies: For adding a note after the Ending Note. That all the different modes of transport described in the book dealt with Land Transport and we had missed out Man-powered Water Transport. Luckily, it is easy to rectify this mistake when it is a blog and not a book. 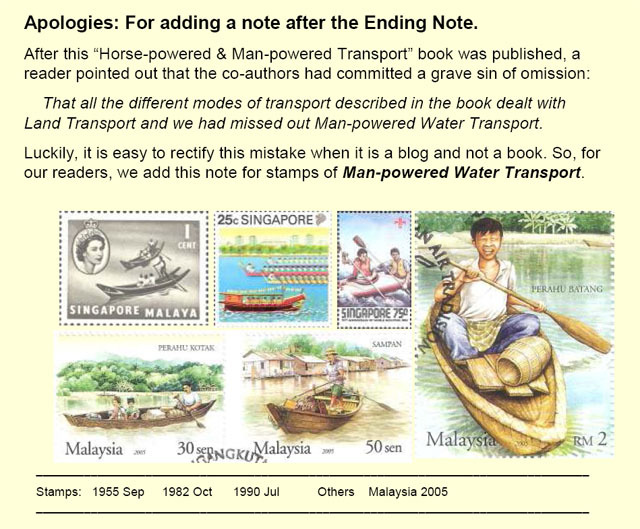 So, for our readers, we add this note for stamps of Man-powered Water Transport.